Air Piston Drum Pump　PST-20G/SUS-i | AQUASYSTEM CO., LTD. Drum Piston Pump worked by compressed air. PST-20G-i: Used for transfer oil. 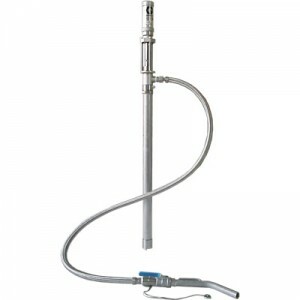 1.2MPa, 12.4bar (180 psi) Maximum Air Input Pressure. 1, To discharge high viscosity fluids. 2, No need electric due to air driven operation. from flammables or combustibles is reduced. 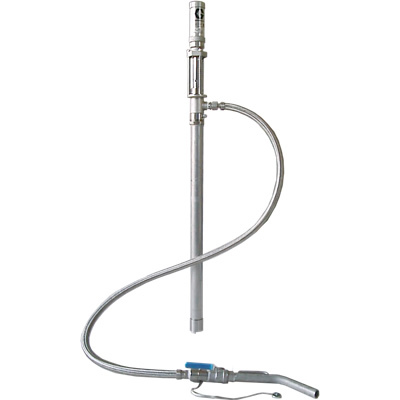 Air consumption By delivery rate; 4L/min and air supply pressure: 0.5MPa (5 bar),approx. 50L/min.